Oppo A7 has announced for Malaysian market with price RM999 for 64GB / 4GB RAM model. it is available in two color options either Glaring Gold or Glazing Blue. This midrange device is suitable for those are looking large display mobile phone with the premium design under RM1000. The packed with 6.2 inches, waterdrop-notched display with HD+ resolution. It has two cameras on the back with main 13 Megapixel F2.2 and secondary 2 Megapixel (F2.4) camera for depth sensing. While for selfie the phone packed with 16 Megapixel (F2.0). Oppo A7 also powered by Snapdragon 450 chipset, Li-Ion 4230 mAh Battery , LTE-A connection and running on Android 8.1 (Oreo). 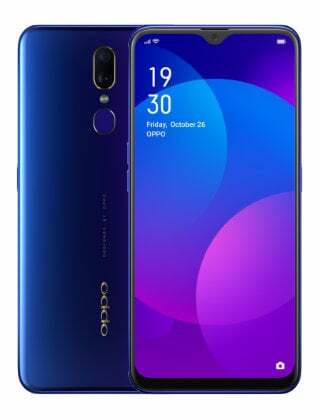 Oppo A7 price in Malaysia is RM999 and available starting 16 November 2018. You can get it from OPPO Malaysia Authorised Store with one year warranty by OPPO Malaysia.